This is a creative digital B2B marketing and content design agency! We create remarkable brands, websites and marketing collateral for B2B companies. Unfortunately we're not taking on any clients. This is a legacy site. Get more customers and increase sales! Everything we do is aimed to make your sales go up, in a cheap and effective way. Well, we get people to find you on the web, visit your website and convert those visitors into known prospects. First we make sure your site is equipped and optimized to take care of potential customers. If you need a new one, we can help build a site that explains your offer in a way that your target audience understands it. Build it, and they shall come? Not exactly. But by creating great, beautifully designed marketing material adopted for the digital era and by setting you up with an amazing online strategy, we will wheel them in. Don't worry - we'll manage it all for you if you want. How is this translated into fancy buzzword lingo? Some call it inbound marketing, some call it SEM and SEO, we call it effective digital B2B marketing. We do everything from developing a new corporate identity to creating material that verbally and visually describes your unique offer to being your technical partner in the Internet world. Check out our skills to see some of the things we do. We design brands that attract your target group. We can create anything from a unique monomark to a creative redesign of your old logo, to a complete set of graphical guidelines for all appropriate media. We are skilled in WordPress, XHTML, HTML5, CSS, PHP and anything we need to create a pixel perfect, responsive (and mobile-friendly) design. Our search engine optimized (SEO) sites are designed to be suitable for high conversions and marketing automation systems. Basquer writes compelling texts for White Papers, presentations and blogs that educate and convince your target audience. We can also help you write posts for, and administer, your Facebook Page and Social Media presence. Basquer can help you with your graphical elements and icons or amazing vector illustrations, visualizing your products and services. 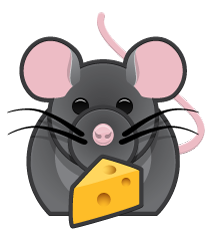 Our illustrations can serve as visual aid on your web or in sales presentations. We have extensive experience in applying your graphical guidelines to collateral of all sorts. Basquer designs business cards, presentations, posters, originals for exhibition stands and basically anything you need in marketing. Google AdWords, LinkedIn, Facebook and more. We will optimize your digital presence and ads to best suit your business needs. Where your potential customers are, that's where we'll fish. Bottom line is that we can do a bunch of stuff! We design to help you sell more, that's the essential part. If you can't find what you're looking for, then ask us about it anyway. We know a lot of people, and surely one that will be eager to help you out. Looking for easy? Our skills are offered in these package deals for your convenience. 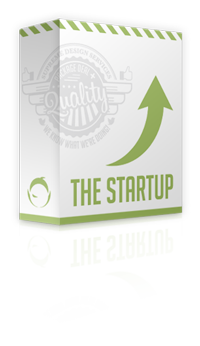 "The Startup" - We will provide you with a logo and online brand along with a simple WordPress website that covers your basic needs. 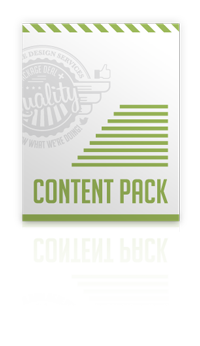 "Content Pack" - We will write White Papers, case studies and blog / news posts for you and give it all a professional design that suits your brand identity. 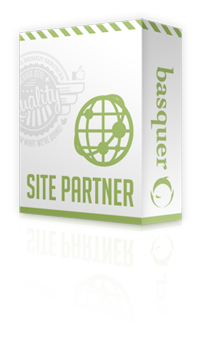 "Site Partner" - We will make sure the right people find their way to your website, that you know who they are and that they understand what you can do for them. These are some of the companies and brands we've worked with. We hired Basquer because we needed to take our online brand presence to the next level. By carefully listening to our needs, and with cutting-edge knowledge, Basquer made sure we ended up with the perfect online solution for our B2B sales. Basquer developed a strategy for social medias, got us on the WordPress bus, and will continue to be responsible for driving quality traffic to our site. We couldn’t have hoped for a more reliable technical and strategic partner! We were lucky enough to stumble upon Basquer in the process of creating new marketing material aimed at private property owners. Basquer was a helping hand in creating both graphic design and parts of the content. In collaboration, we created white papers, case studies and presentations. At times we weren't always sure what we wanted, but Basquer had the ability to listen and take in our thoughts and transform these into designs that are now on their way to becoming our new visual identity. Basquer constantly surprised us with quick and quality proofed drafts, never leaving room for our impatience. I appreciate Basquer for the consistently high quality and flexibility in deliveries. When using subcontractors, keeping deadlines is also of the highest importance, which has never been an issue during my collaborations with Basquer. The first job far exceeded my high expectations. Basquer is a modern agency with a personal touch. I was tired of working with agencies that charge for coffee breaks, mostly deliver hot-air and don’t keep deadlines, and switching to Basquer was like heaven. I haven't regretted my decision for a second since we're now thinking outside the box and reaching our dreams. If you don't want to take their word for it, please visit our visual portfolio.